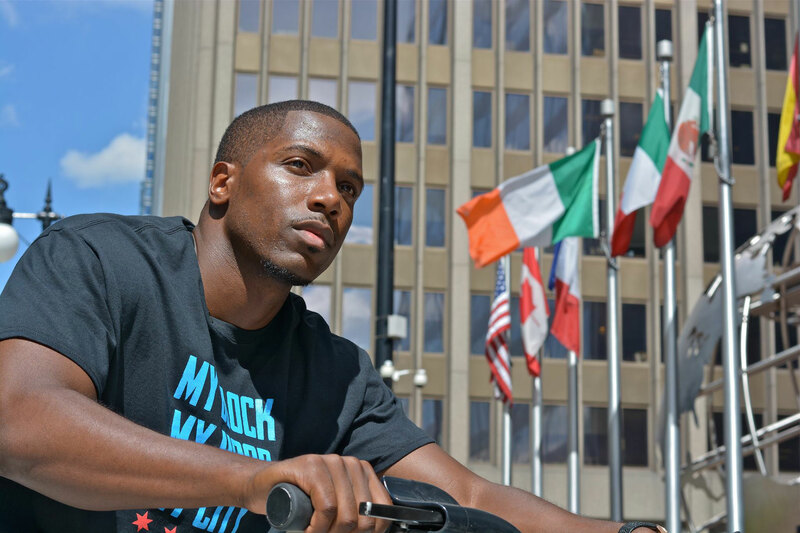 Jahmal Cole ’05 started "My Block, My Hood, My City" to encourage teens to get out of their comfort zones and see what Chicago can offer beyond their neighborhoods. Jahmal Cole, a 2005 Wayne State College graduate, found his passion and calling helping teenagers and underprivileged youth. After walking on with the basketball team at WSC and graduating with a degree in speech communication/corporate, community, and public relations, he decided to head back to his hometown of Chicago to make a difference in his neighborhood. Cole formed a nonprofit organization - My Block, My Hood, My City - whose mission is to help teenagers overcome the poverty and isolation they face, boost educational attainment, and expose them to opportunities that make a difference in their lives. My Block, My Hood, My City provides underprivileged youth with an awareness of the world and opportunities beyond their neighborhood, taking students on explorations focused on science, technology, engineering, and mathematics (STEM), arts and culture, citizenry and volunteerism, health, community development, culinary arts, and entrepreneurism. My Block, My Hood, My City helps introduce Chicagoans to places in their city they’ve never seen or experienced. Every month, a group of interested teenagers goes on a city-wide exploration, visiting businesses, artful intersections, and communities. These explorations encourage teens to get out of their comfort zones and see what Chicago can offer beyond their neighborhoods. Cole has been an advocate for education reform in Chicago and is passionate about improving schools. He also serves as a frequent speaker at colleges in the Chicago area and is the author of “The Torch of Decency: Rekindling the Spirit of Civic Organizations,” “Athletes and Emcees,” “Exposure is Key: Solving Violence by Exposing Teens to Opportunities,” among other publications.